Handsomely styled in its latest iteration, the Toyota Avalon is an excellent value among large sedans. My car recommendation to a friend flunked his test drive, even though he reported no specific dislikes about his experience behind the wheel. He wanted something swankier, and the budget allowed it. Chalk one up for the Germans. They do make a damn fine automobile. I understand the sentiment. But I also know this: for every new-car shopper that’s attracted to the prestige of a premium brand, there’s another that prefers a model from a mainstream automaker. The reasons are largely economic. The volume brands offer better value with lower prices, often requiring little or no sacrifice on comfort or features. Service is typically less expensive and more widely available. And believe it or not, some folks prefer to project an image of prudence instead of one of extravagance. A Chevrolet certainly sends a different message than a Cadillac, and that’s not always a bad thing. Among large sedans, few offer the superb value of the 2014 Toyota Avalon Limited. Each of the advantages above is true of the Avalon. It’s not as pricey as the very similar Lexus ES 350 with which it shares a platform. It’s spacious and comfortable, and the top-trim Limited is surprisingly feature-rich. Both performance and economy are commendable. And the latest design is the best looking Avalon to date, even sharper than the ES from every angle but the front. The dash and center stack are neatly arranged, and the controls are easy to use. The optional wireless charging tray is located in the bin ahead of the gear selector. The 2014 Avalon starts at $31,340 plus destination charge. Along with the base XLE trim, Toyota offers the XLE Premium, XLE Touring and Limited. On top of its $39,650 manufacturer’s suggested retail price, the Avalon Limited test vehicle included $2325 in options and an $810 destination charge. With a bottom line under $43,000, this Avalon brought a healthy dose of luxury, even if it lacked an “L” on its grille. That starts with exterior styling. The look of the new generation introduced for 2013 is clean and elegant, with an arched roofline, fast rear glass and a short trunk lid. The new grille is bold and attractive. The test car’s 18-inch wheels, HID headlights and LED running lights add to the premium look. 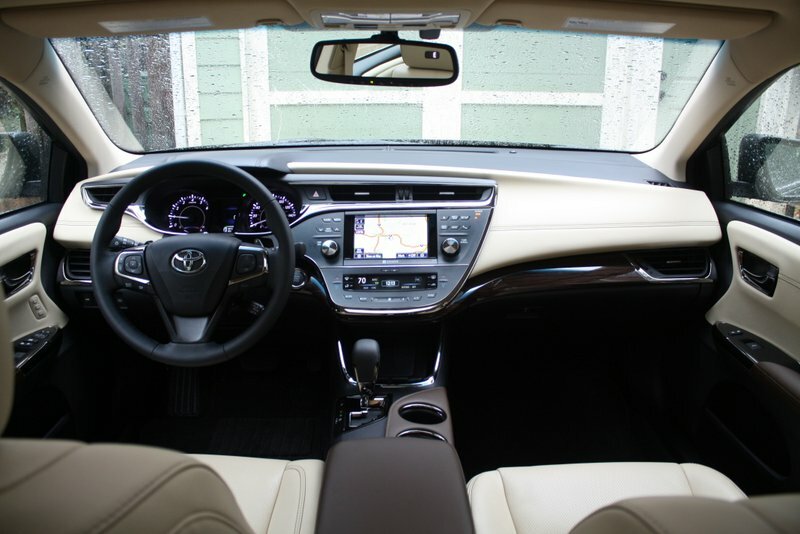 Inside, the Avalon Limited is packed with luxury features. Perforated leather front seats are both heated and cooled, and the driver seat includes memory settings. A proximity key with push-button start, automatic headlights and wipers, backup camera, moonroof, and a power rear sunshade are all included. 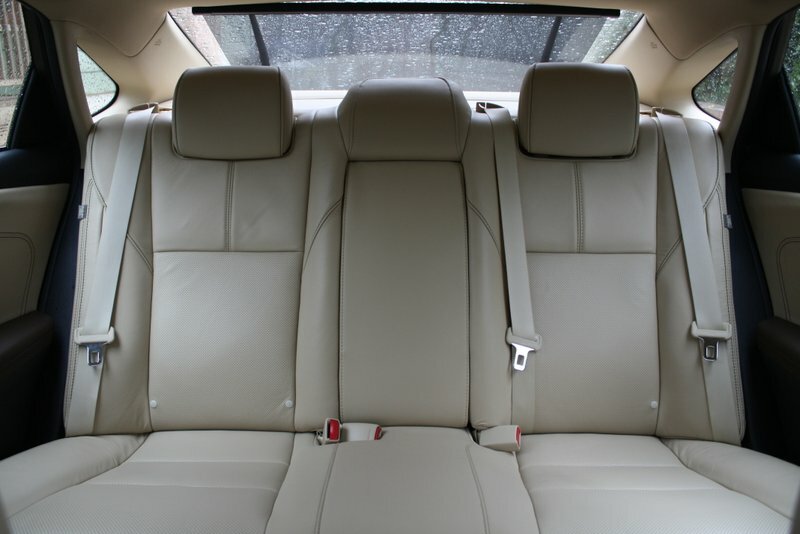 Passengers in the spacious rear seat get heated seats and their own climate control zone. Navigation uses a 7-inch touchscreen that’s easier to use than the mouse-like controller in the Lexus ES. Plenty of legroom, heated seats, a separate rear climate control zone and a sunshade keep rear-seat passengers comfortable. The $1,750 technology package includes adaptive cruise control and a collision warning system. The test car also included a Qi wireless charging station, a $200 option. Purists may prefer rear-wheel-drive sedans for sportier dynamics, and I have a hard time arguing against that choice. The front-wheel-drive Avalon will earn no new converts for the configuration, but the Avalon is capable if not a riot to drive. The 3.5-liter V6 produces an ample 268 horsepower and is mated to a 6-speed automatic. The Avalon XLE Touring and Limited trims include paddle shifters on the steering wheel, even though no one will ever use them. Electric power steering lacks feedback but steers the big sedan precisely. The ride is is a bit firmer than I expected but still comfortable. The optional 18-inch wheels are likely a factor there. 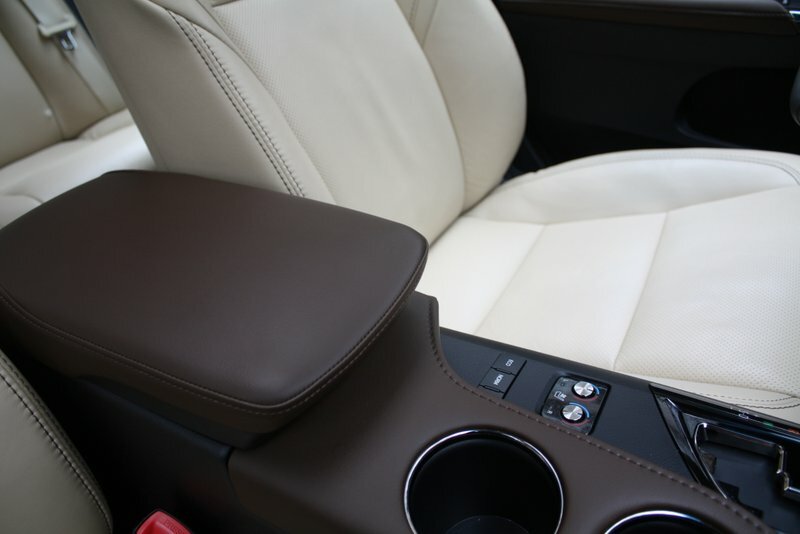 Brown vinyl covers the center armrest up front and the door armrests at all four corners. It’s the only brown upholstery in the car and looks out of place. 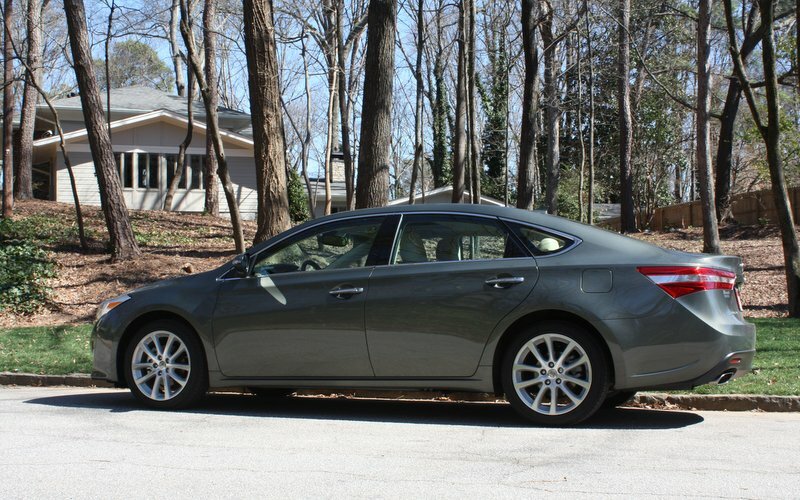 The 2014 Toyota Avalon Limited reminds me of the law of diminishing automotive returns. In short, its says that bang for your buck tops out at a new-car price of about $45,000. Above that threshold, a bit more content–slightly better performance, a few technology features, a fancier brand–requires increasingly higher price premiums. Spend $60,000 and get a touch more than you could for $45,000. Spend $120,000 and you get not much more than $90,000 will buy. In that regard, the Avalon is in the sweet spot. And for me, everyday luxury beats a base model with a badge.